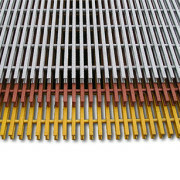 National Grating fiberglass I-BAR grating supports heavier loads and longer spans than comparably sized molded grating. Our Pultruded grating is ideal for demanding applications ranging from ADA-compliant walkways to heavy-duty vehicular traffic. Fiberglass I-BAR grating has the strength of steel, but it won’t corrode like steel does. Cross-rods and bearing bars lock mechanically for maximum unidirectional strength. Panels are lightweight, easy to transport, and can be cut and fabricated using standard hand tools. Continuous glass rovings resist tension, compression and bending while providing longitudinal strength. 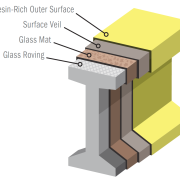 Continuous glass mat increases transverse strength and resistance to impact. 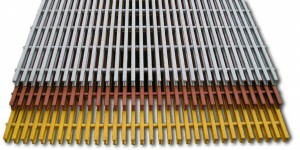 National Grating Fiberglass I-BAR is available in two standard resin systems. Each providing different levels of corrosion protection. Both resin systems meet Class 1 Flame Spread Rating per ASTM E-84 test standards. Polyester: A premium-grade isophthalic polyester resin system that provides excellent corrosion protection. Standard colors: Yellow and Light Gray. Vinyl ester: A chemically resistant system that provides the highest level of corrosion protection. Standard colors: Yellow and Light Gray. 3′ wide x 20′ long and 4′ wide x 20′ long. Custom Panel Sizes also available. We have many profiles of FRP I-BAR Grating available including I-6000 , I-6010, I-6015, I-4000, I-4010, I-4015 and our many other custom profiles. Request a Pultruded Grating load table to see which profile will work best for your application. Prefer to talk? Call us at 1-877-984-7788. We can help! Molded Mesh or Pultruded I-Beam? Which is right for your project? 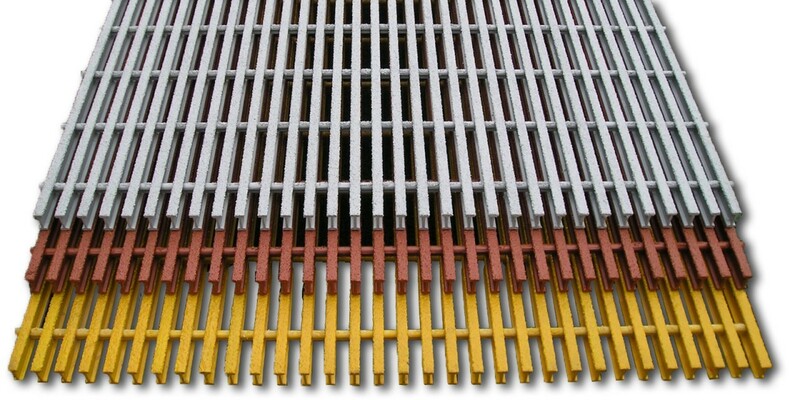 Pultruded Fiberglass Grating is the long-lasting solution for rugged applications.Steel and aluminum grating have considerable down-sides; they corrode, wear down quickly, cause maintenance headaches and downtimes, and are costly to install. National Grating high-strength pultruded I-bar grating can be designed and used like traditional metal grates, but with all the many benefits of fiberglass. FRP grating is especially useful for replacing steel grating or aluminum grating in corrosive environments or where other types of gratings require frequent replacements. Our pricing and service experts are standing by to help to find the best product for your project. With many varieties of fiberglass grating in stock and expedited shipping, we can supply your project with Pultruded Fiberglass Grating I-4000 4ft x 20ft x 1 inch at the best possible price with the lowest freight charges. Our pricing and service experts are standing by to help to find the best product for your project. With many varieties of fiberglass grating in stock and expedited shipping, we can supply your project with Pultruded Fiberglass Grating 3ft x 20ft x 1 inch at the best possible price with the lowest freight charges. Our pricing and service experts are standing by to help to find the best product for your project. 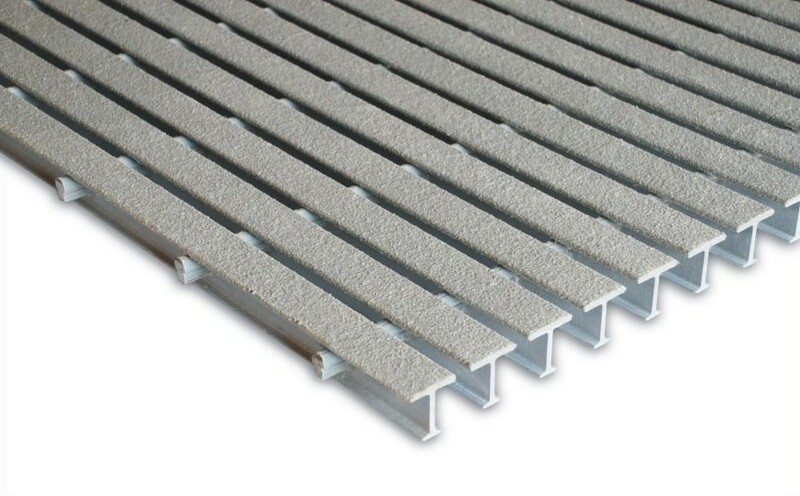 With many varieties of fiberglass grating in stock and expedited shipping, we can supply your project with Pultruded Fiberglass Grating 3ft x 20ft x 1.5 inch at the best possible price with the lowest freight charges. Our pricing and service experts are standing by to help to find the best product for your project. With many varieties of fiberglass grating in stock and expedited shipping, we can supply your project with Pultruded Fiberglass Grating 4ft x 20ft x 1.5 inch at the best possible price with the lowest freight charges. Our pricing and service experts are standing by to help to find the best product for your project. With many varieties of fiberglass grating in stock and expedited shipping, we can supply your project with Pultruded Fiberglass Grating T-5000 4ft x 20ft x 2 inch at the best possible price with the lowest freight charges. Our pricing and service experts are standing by to help to find the best product for your project. 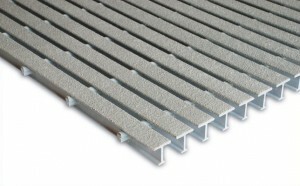 With many varieties of fiberglass grating in stock and expedited shipping, we can supply your project with Pultruded Fiberglass Grating I-6000 1 inch x 4ft x 20ft at the best possible price with the lowest freight charges.